The IFSH Whole Genome Sequencing (WGS) for Food Safety Symposium on September 28, 29 and 30 at Chicago Marriott Southwest at Burr Ridge acted as a catalyst for participants to learn about the fast developing technologies for Whole-Genome Sequencing, the specific applications and benefits of the IFSH WGS project and the services it provides for the food industry, and more. You can view the final program here. 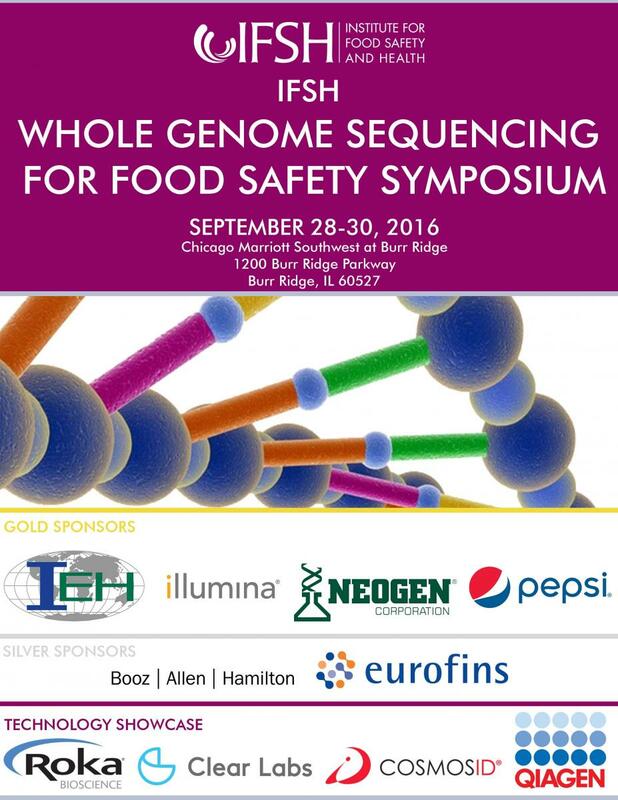 IFSH thanks the Whole Genome Sequencing Symposium sponsors. For more information on our sponsors, see the Whole Genome Sequencing Symposium Sponsors Contact Sheet.